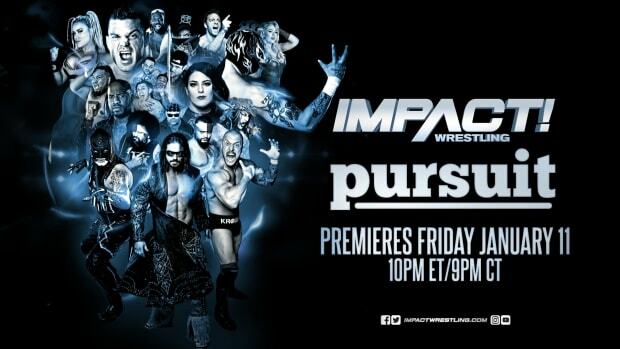 NASHVILLE, Tenn. (Nov 18, 2013) – An action-packed two hours of Pay-Per-View wrestling is coming your way this Thursday, Nov. 21 as IMPACT WRESTLING presents “Turning Point” live and free on Spike TV at 9 p.m. ET. Broadcasting live from Universal Studios in Orlando, Fla., a hub of IMPACT WRESTLING LIVE! and #IMPACT365, Dixie Carter continues her furor with “The Phenomenal One” AJ Styles as she seeks to crown a new World Heavyweight Champion. “Turning Point” will feature two incredible TNA World Title Tournament matches, with stipulations determined through a spin of the “Wheel of Dixie.” The scheduled matches include a “Falls Count Anywhere” match between Magnus and Samoa Joe, and a “Bull Rope” match between former tag partners “The Cowboy” James Storm and “The IT Factor” Bobby Roode. In addition, a grudge match between former Aces and Eights member, Mr. Anderson, and Aces and Eights President, Bully Ray, is on the card. Fighting to get past the first round of the tournament, Magnus and Samoa Joe put their Main Event Mafia allegiances aside as they battle one another in a “Falls Count Anywhere” match where pinfall is permitted outside the ring and any object in reach can be used to the wrestler’s advantage. In the second TNA Word Title Tournament match of the night James Storm and Bobby Roode will battle it out in a “Bull Rope” match. Confined to opposite sides of a rope, the restraint and anything tied to it can be used as a legal weapon. As the World Heavyweight Title hangs in the balance, so does the future of Aces and Eights. At “Turning Point” former Aces and Eights member Mr. Anderson will square off against President of the Club, Bully Ray in a grudge match to determine the future of the brotherhood. The Main Event of the night will prove the bitterness and dislike Mr. Anderson and Bully Ray have for one other, as the two clash in a high-stakes battle with the future on the line for both. Should Mr. Anderson win, Bully Ray will be dethroned and the Aces and Eights will fall. If Bully is victorious, Mr. Anderson is to never show up in the wrestling ring again. For more information about IMPACT WRESTLING and the Thursday night “Turning Point” event, visit www.impactwrestling.com and search #IMPACT365 for behind the scene footage 24/7.